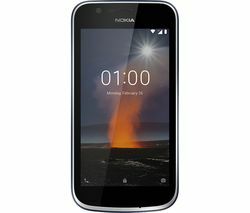 Our expansive range of Nokia mobile phones really do offer something for everyone. So, whether you're looking for an all singing, all dancing phone that embraces the very latest technology, or a more basic phone that is super easy to use, you're sure to find a Nokia mobile phone that meets your requirements. Our expansive range includes a wide range of models such as the Nokia 8 and the Nokia 331. One of our most popular and up to date models is the Nokia 8-64GB Silver. Boasting key features such as crystal clear 4K video quality, better sound, and a dual sight camera that puts you and the subject of the image in the same shot, as well as optimum space to store your favourite videos and photos, the Nokia 8 really is in a class of its own. On the other hand, the Nokia 3310 is a great option for those looking for a reliable handset that brings together retro style and simplicity - it's ideal for everyday use. Offering long lasting battery life, substantial memory, an MP3 player, and an FM radio, this practical phone is incredibly easy to navigate and even boasts the iconic snake game that Nokia phones were renowned for back in the 1990s. All of the phones within our expansive Nokia product range are available in a variety of different colours and memory sizes. 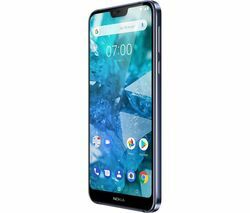 And, if our Nokia mobile phones do not meet your requirements, don't worry - we also provide a number of other mobile options from some of the industry's leading names, including Apple, Nokia, and Blackberry, as well as a great selection of Samsung phones. So, whether you're looking for the latest Apple iPhone or a basic yet highly functional phone, you're sure to find what you're looking for.